Queensland Brain Institute and Science of Learning Research Centre director Professor Pankaj Sah said the 24-page magazine aimed to dispel myths about learning, provide tips for studying, and explore factors that improve academic outcomes and the ability to learn. “It will be an essential guide for teachers, parents and students, or anyone interested in maximising their learning potential,” he said. 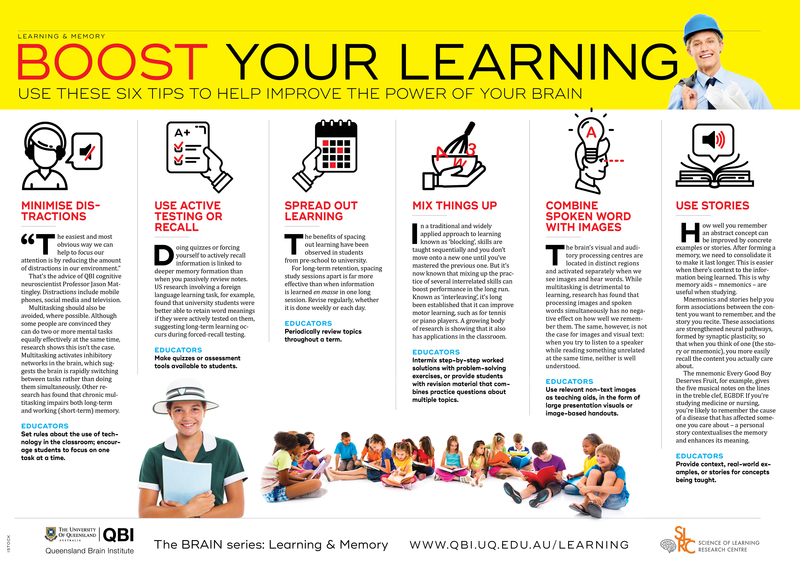 The Brain: Learning and Memory magazine is available on the Queensland Brain Institute website. “We have tried to shed light on the science of learning in an accessible and interesting way,” said Professor Sah, pictured. The magazine includes a downloadable poster with practical tips for students to boost studying and learning. Professor Sah said topics covered included: how the brain learns; common factors affecting learning – such as multi-tasking, technology, and sleep; learning disorders such as dyslexia; so-called “smart drugs”; and whether the brain’s learning ability changes with age. “The magazine includes profiles of prominent Australians, including beloved children’s author Jackie French, who details her struggle with dyslexia,” Professor Sah said. “We profile Dr Chris Sarra, founder and chief executive of the Stronger Smarter Institute, on shifting expectations of Indigenous students. The magazine is the second in a series. The first issue, on concussion, was published last year. Media: Donna Lu, communications@qbi.uq.edu.au, +61 405 661 856; Professor Pankaj Sah, pankaj.sah@uq.edu.au, + 61 7 3346 6403.